Keiro no Hi, or Respect for the Aged Day, is a Japanese holiday that honors and celebrates older adults. 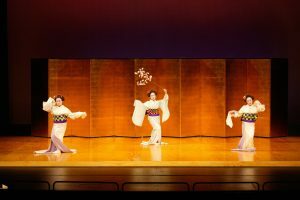 This year, Keiro and Japanese American Cultural & Community Center are partnering to host the very first Keiro no Hi Festival in Little Tokyo. This festival will take an innovative approach to the festival’s programmatic elements, specifically catering to the older adult attendees. Complimentary transportation from numerous locations throughout Los Angeles and Orange counties is available for everyone. A hosted bento lunch will be made available to older adults free of charge on a first-come, first-served basis with prior registration. This family-friendly event is free to the public and includes intergenerational activities, performances, food, workshops, a resource fair, and more. With prior registration, those turning 66, 77, 88, 99, 100 or 100+ this year will also receive a birthday gift. Register today! Thank you for attending the inaugural Keiro no Hi Festival! Throughout the day, various older adult performers will take the stage for entertainment. Keiro and Providence’s Iyashi Care team will host a health fair helping older adults and their families navigate advance directives and providing pharmaceutical consultations. Iyashi Care is a palliative care program to improve the quality of life for Japanese American and Japanese older adults with serious illnesses and their families. The Iyashi Care team will be available to answer any questions regarding this new, innovative program. The Iyashi Care team encourages attendees to invite family members or close friends to participate in conversations at the advance directive table. No reservations are required and walk-ins are welcomed. Interested parties are encouraged to bring a list of current drugs you are taking, but please do not bring your medication to the festival. Read an article on why these tables may be relevant for you here. This exhibit will feature artwork and calligraphy by older adults in our community. 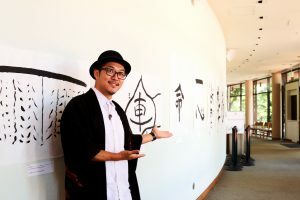 You can also take part in a workshop led by Kuniharu Yoshida, a calligraphy artist and teacher at the JACCC. Learn more about Kuniharu Yoshida and the workshop. Throughout the day, you can look through the vendor fair to learn about community organizations in Los Angeles, Orange and Ventura counties. Complimentary transportation will be available from the following four locations. Registration has closed. The transportation option was on a first come, first served basis. We are at full capacity; thank you for those who registered. We look forward to seeing everyone! Thank you for attending the inaugural Keiro no Hi Festival!! By signing up for this event I consent to receiving correspondence from both Keiro & JACCC.